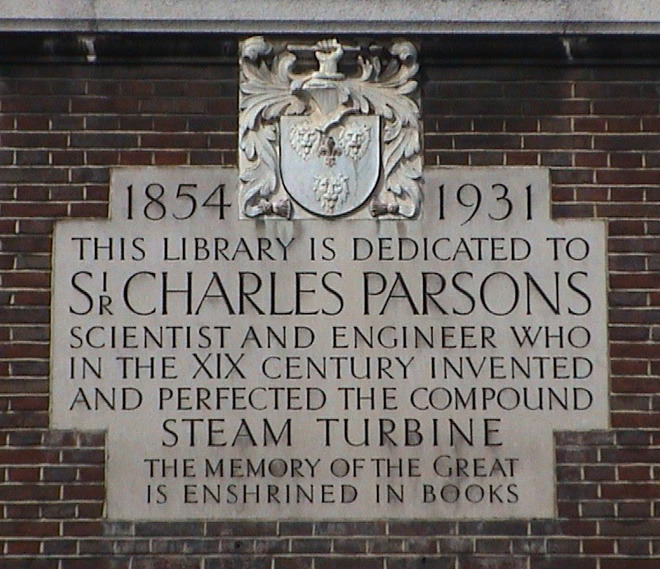 This library is dedicated to Sir Charles Parsons, scientist and engineer who in the XIX century invented and perfected the compound steam turbine. The memory of the great is enshrined in books. 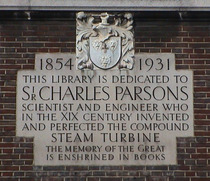 Invented by Sir Charles Parsons.